Sony is always in the forefront of technology whether in entertainment or communications and one of the most popular gadget that they introduced in the market is the gaming device PlayStation. Today, Sony PlayStation has evolved adopting to changes in terms of technological advances. From a mere gaming console hooked on the television, Sony PlayStation goes online and will deliver a gaming experience like no other. With a quality Bluetooth headset for PS3, video games will never be the same. With over 84 million units sold worldwide, the Sony PS3 has been a favorite for videogame players both young and old. Nowadays, serious gamers can level-up their gaming experience through the Sony PS3 bluetooth headset. Made specifically for playstation 3, this quality ps3 bluetooth headset pushes the boundaries of innovation by bringing in advanced voice technology into the system. Now, PlayStation 3 enthusiasts will have improved game experience beyond the ordinary. High Quality Mode in PlayStation 3. Advanced voice technology brings in the next generation upgraded features to the Sony PlayStation gaming system. With the innovative High Quality Mode (HQ mode) it offers excellent noise cancellation features that will ensure clear reception and a wider band voice input on the PS3. High Quality mode will help provide improved voice chat quality with excellent clarity that would enhance the user experience on Sony PlayStation 3. Aside from improving voice quality in a wideband setting, the high quality mode of PS3 bluetooth headset will facilitate accurate speech recognition necessary in supporting voice command option and voice animation features. The voice animation feature is the personification of a chosen character in a game supported on the Sony PlayStation 3 platform wherein the bluetooth headset is useful during a voice chat while playing the game. With the high quality mode feature, a player or gamer will enjoy a much larger range of vocabulary in terms of communicating his or her character online in selected PlayStation games. The quality craftmanship and innovative design of the Sony PlayStation 3 bluetooth headset included the dual microphone feature which aims to provide effective noise cancellation. For one to be able to use voice command or chat, effective means of cancelling out background or external noise is necessary. 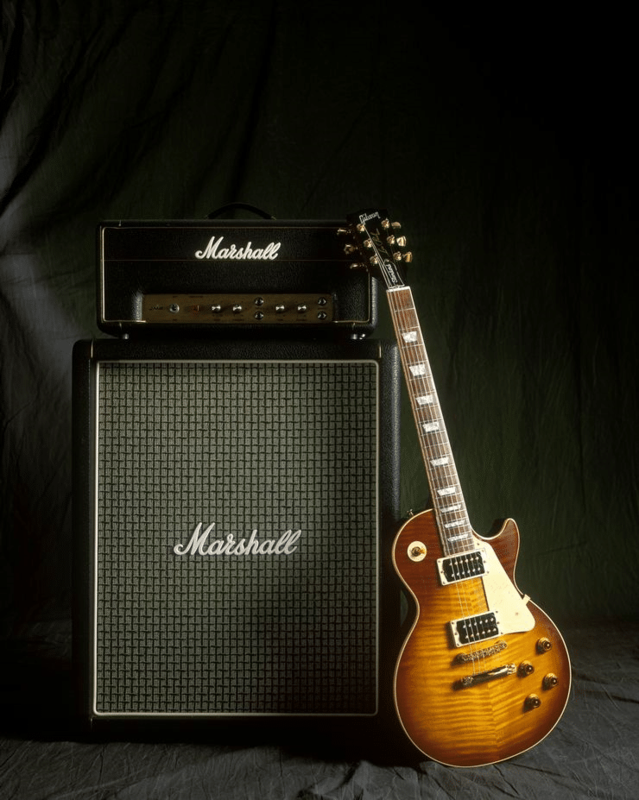 This is possible by incorporating a side mounted microphone in its design which helps to eliminate and cancel noise. The Sony PlayStation 3 bluetooth headset is also capable in operating on other devices. With Sony’s innovations in enhancing the specs for this device, the playstation 3 headset can also be useful on smartphones as an excellent headset. 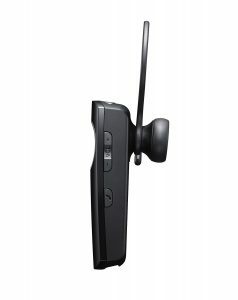 With upgraded features, the PlayStation 3 Bluetooth headset has capability to enable call waiting or even redialing a number just by tapping the side panel button. This device is also capable of accepting and rejecting calls. 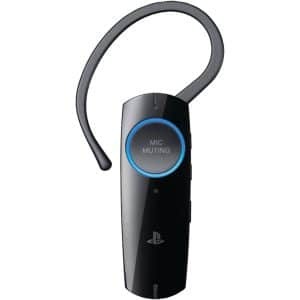 With sleeker and compact look, the PS3 bluetooth headset 2.0 has all the right features that will enhance gaming experience aside from that, it is capable of working with the PS3 console to display battery and volume levels plus shows connection status. Pairing this device is also not limited to bluetooth capability, a supplied USB cable will ensure optimum connection. Sony has stepped it up a bit by providing the best features on the PSP 3 2.0 bluetooth headset. With emphasis on voice technology and superb audio quality, the Sony PlayStation bluetooth headset is ahead of the competition. With added features and a robust design, this quality 2.0 bluetooth headset is worth considering in terms of a reliable headset for playstation 3. Designed and built to deliver high performance functions, the Sony PlayStation 3 Bluetooth Headset is superbly made. Manufactured using the best quality plastic material with rubberized earpiece and clip, this PSP 3 bluetooth headset is durable and provides a good grip surface. Dedicated buttons for volume, microphone and power are neatly lined on the side. The docking station is also well-built with rubberized bottom for stability. Manufactured to provide a good quality bluetooth headset for Sony playstation 3, the average battery life is about eight hours when in use and 300 hours in standby mode when fully charged. This will translate to longer hours of high performance usage necessary when seriously engaged in a favorite video game. Reasonably priced with easy to use functions, the practical design features allow users to experience the game better. With enhanced features for voice quality, expect only the best audio output form Sony PlayStation 3 Bluetooth Headset. Equipped with the latest innovations, the High Quality Mode feature effectively improve voice quality. The PlayStation 3 HQ mode has significantly enhanced voice features that is capable of delivering clear reception in a wideband voice input. This is integral to activate voice command features with accurate speech recognition. Sony PSP 3 bluetooth headset has excellent noise cancellation that will allow quality transmission on voice commands or voice chat. Innovations on the Sony PS3 bluetooth 2.0 headset provide effective noise cancellation which is needed in facilitating online chats while at the game and accurate voice commands. This will ensure that audio quality is at its best with crisp output needed for accuracy especially in initiating voice commands or in game chats. 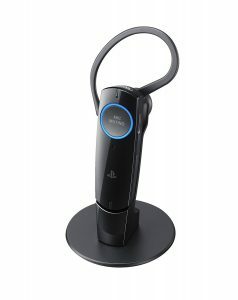 The PlayStation 3 bluetooth headset can be easily paired with the PS3 gaming device in two easy ways- either by bluetooth connectivity or USB cable. This Sony gaming headset has good features that are also compatible with smartphones. It provides an easy pairing on devices with added practical functions for smartphone devices. Sony PSP3 bluetooth headset with its upgraded features can simply be paired with a smartphone device. When enabled, the PSP3 headset can be used to receive or reject calls, for call waiting and for redialing just by tapping the side panel. For people who are searching for a reliable and quality made headset for their Playstation 3, the Sony PSP 3 Bluetooth Headset is a very good choice. With innovative features that will enhance voice command, voice quality and improved speech recognition, this headset for playstation 3 is a good buy. Made specifically for gaming with added features that can function on smartphone devices, the Sony PSP 3 bluetooth headset is a practical choice.